Blacksmiths have been an essential part of the development of global civilization for thousands of years. Initially forging rudimentary tools and weapons, their work transitioned to more sophisticated tools, agricultural implements, and instruments of war. The Industrial Revolution reduced the need for the blacksmiths' work and hence slowed the development of their craft. The renaissance of the last 30 years was led by individuals such as Francis Whitaker whose dedication to the craft inspired many to learn the art and techniques of blacksmithing. 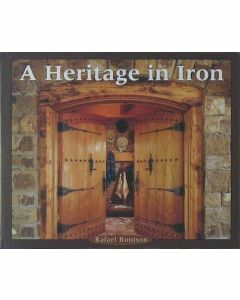 Whitaker and a few of his students forged the beautiful, functional ironwork for two ranches in southwest Colorado in this book. A Heritage in Iron, earned, in 2004, the PubWest Publishers Association of the West Winner's Award and 10 pages in the Architectural Digest. Featured throughout are hand-forged fixtures, fireplaces, tools, and includes 200 color and historical photos. An Independent Publisher IP Award Finalist. Index. 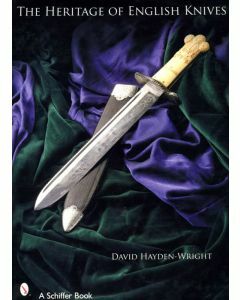 This is the preeminent reference on antique English knives, written by one of Great Britain's most respected 20th century authorities on weaponry. The text contains much previously unknown historical information about cutlers and their art. The history of the famous American designed Bowie knife, manufactured extensively in Sheffield, is explained and amply illustrated. The history of the American Bowie knife explained and amply illustrated. Discussions present multi-bladed sportsmen's pocket knives, farrier's, smoker's, quill knives, curiosities, and actual knives presented to King George IV in 1821. 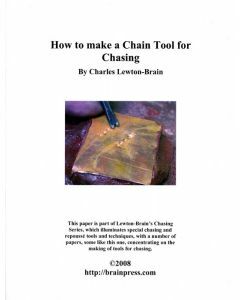 A chain tool is a special class of chasing tool. It is a kind of stamp which automatically lines up the the previous blow in registered rows of rhythmic marks. The details of how to make this valuable tool are clearly explained. Ironwork Today Meilach, Dona Z. Here is an exciting foray into the world of the artist-blacksmith from the growing number of men and women who revel in lighting up a forge and shaping hot, malleable iron into beautiful useful objects. Blacksmiths today produce monumental and modest works. A beautiful collection of railings, gates, doors, sculpture, fences, candle holders, furniture, lighting fixtures and more.Over 480 color photographs highlight objects for indoor and outdoor use. A collection of hundreds of beautiful color photos displaying the impressive iron are work of today's artist-blacksmiths. 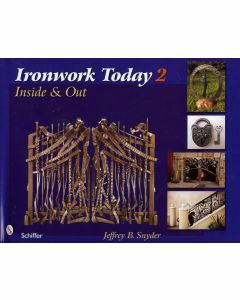 In Ironwork Today 3, over 450 color photos provide a sweeping overview of the amazing range of iron artwork created by 82 of today's artist-blacksmiths. These works in metal are found in public spaces, offices, and homes. The pieces, discussed by the artists who made them, include sculpture, gates, railings, furniture, lighting fixtures, doors, locks, and much more. Ironwork: Dynamic Details Meilach, Dona Z. 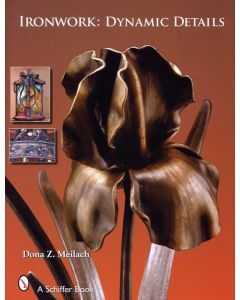 Over 250 color photographs display details of contemporary iron objects, including flowers, grape clusters, leaves, small and large animals that attest to the blacksmith's role as a sculptor. Details of other elements for furniture, fireplace accessories and many other items bring a whole new dimension to blacksmithing. 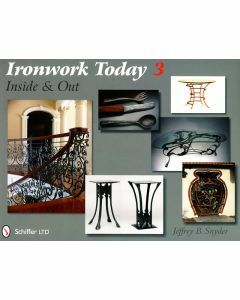 This stimulation book is a must for metalworkers, designers, artists, gallery owners, art lovers, and museum directors. Appreciate by looking or try it! 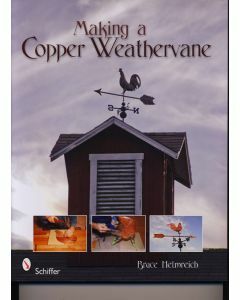 Bruce Helmreich guides you through the steps necessary to build a hand-hammered copper weathervane. Folk art subjects used in American weathervanes include domesticated and wild animals, birds, occupations, patriotic themes, and transportation. Create your own design or use the complete set of plans included to produce a traditional rooster weathervane. Using basic tools (tin snips and hammers) and ageless techniques, this book will teach you how to make a weathervane that will serve your roof for years. 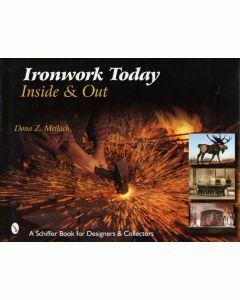 Whether you are an experienced metal worker, or a woodworker looking for a challange, this is the book for you.